It’s a case that has both captivated and haunted the American public for over 20 years. The tragic story of child beauty queen JonBenet Ramsay continues to make headlines today, as investigators and crime enthusiasts continue to filter through the available information in the hope that they will discover something vital that was previously overlooked. On Christmas morning 1996, JonBenet Ramsey’s parents reported the young girl missing, a lengthy ransom note discovered in their house. Approximately 8 hours after the report, Ramsey’s father John Ramsey discovered her body in the basement of their Boulder, Colorado home. The official cause of death, according to the autopsy, was asphyxiation due to strangulation, and her death was ruled a homicide. Initially, law enforcement believed that the body had been staged by her parents, with her mother writing the ransom note in order to cover up their crime, however, this theory was dismissed when DNA analysis in 1998 cleared all immediate family members. While her parents gave a number of television interviews, there were no breaks in the case for a significant period of time, with the case passing to a new DA successor in 2002. 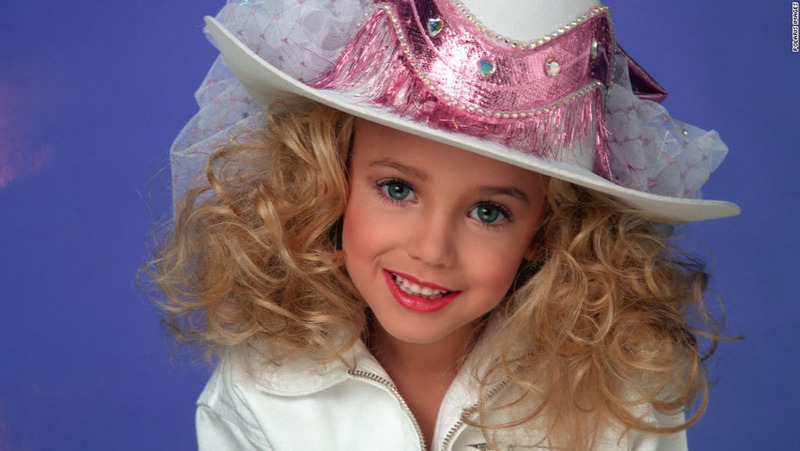 In 2003, DNA testing on the samples from JonBenet’s clothing were discovered to belong to an unknown male. This led to a 2008 letter of apology to the family, apologizing for accusing them of fault, and in February 2009 the local law enforcement reopened the investigation. There hasn’t been much change in the investigation in the years that followed. In 2016, in honor of the 20th anniversary of the crime, CBS released the documentary miniseries ‘The Case of: JonBenet Ramsey.’ In this documentary, an investigative team including former FBI agent Jim Clemente, Dr. Henry Lee, forensic pathologist Dr. Werner Spitz, James Fitzgerald, former chief investigator for the Boulder District Attorney James Kolar, Stan Burke and former Scotland Yard criminal behavior analyst Laura Richards, analyzed every piece of the case form the ransom note, the 911 call, etc. all while using re-created rooms of the Ramsay’s house to put everything into perspective. The team came to a startling conclusion – that JonBenet’s young brother Burke, 9 at the time of her death, may have killed her accidentally, and her parents made an effort to hide this fact. Having previously exhibited violence towards his sister, they argued that this tragedy was part of a pre-existing pattern of behavior. “My hypothesis was that I think the Ramseys came home around 9:30, 10 o’clock. I think JonBenet was asleep. I think John did carry her upstairs, Patsy remained downstairs with Burke and served him the tea and the pineapple. I think that accounts for the physical evidence as well as the latent print. Then she got JonBenet up to make sure she used the toilet, so she didn’t wet the bed that night. After Viewing the Documentary, What’s Your Opinion?